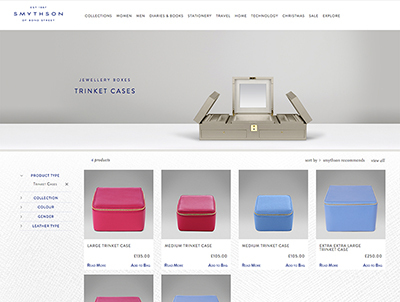 In 2014 we successfully upgraded Smythson from Magento Enterprise 1.10 to 1.14.In preparation for this, a comprehensive suite of functional tests were created using Behat. 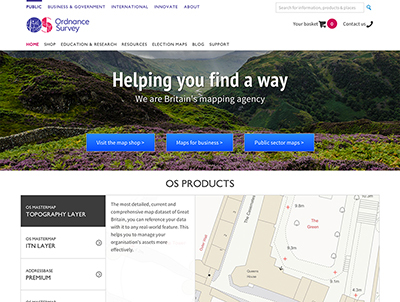 Working with Ordnance Survey, the National Mapping Authority of Great Britain, we developed their Map Shop running Magento Enterprise. 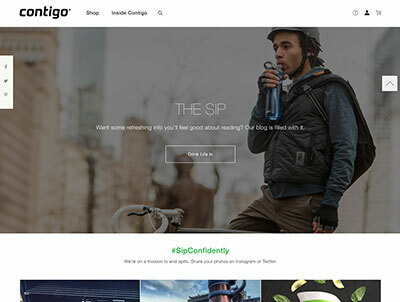 Thoughtfully designed and engineered water bottles and mugs for on-the-go lifestyles from Contigo. 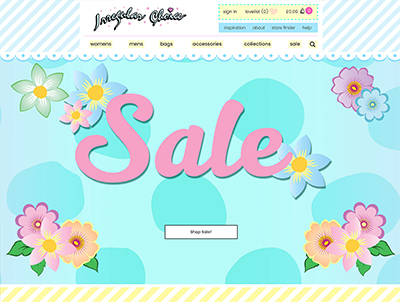 Irregular Choice create stylish, unique but most of all fun shoes.We worked with them and their design partners, Yoyo to create this new site on Magento. Klevu have been taking the ecommerce search space by storm with their advanced learning search system. We were excited to be able to create their Magento extension that synchronises product and order data with their systems so they can provide the most up-to-date search results possible. 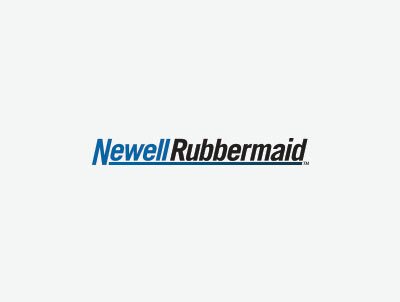 Rubbermaid are a household name for household products in the US including food storage containers and trash cans. 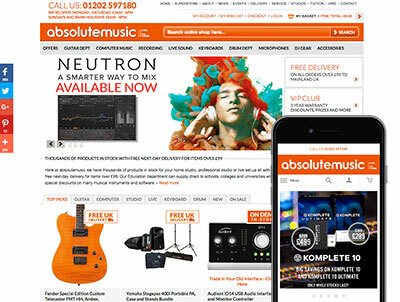 One of the UK's leading music retailers and it's no surprise that they're also the most passionate and energetic too. Finisterre are an inspiring company and an inspiring vision for a company committed to product, environment and people. ShopGo are a hosted ecommerce solution focussed on the Middle East and North Africa (MENA) market. They are a Magento-loving company at their core and are soon to re-launch upon the Magento 2 platform. 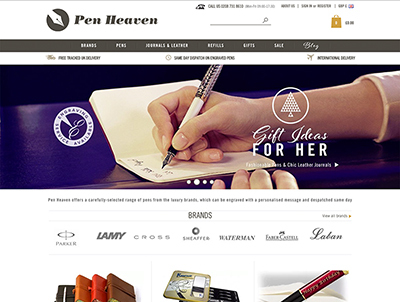 Migrating from a SaaS ecommerce platform to Magento has enabled Pen Heaven to push ahead of their competitors. 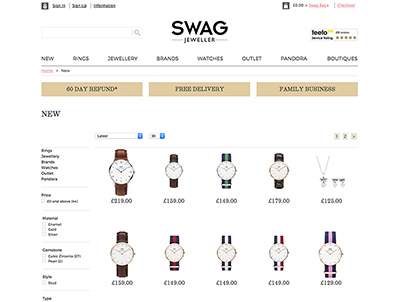 Swag Jeweller had an ageing ASP.net eCommerce system that was becoming unmanageable for customers and administrators alike. 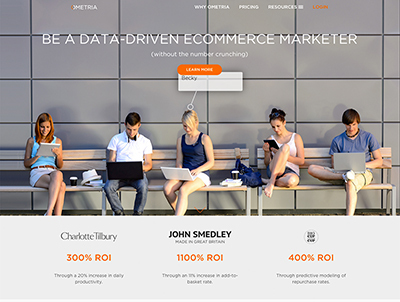 For enterprise level website analytics, Ometria are the team to work with. 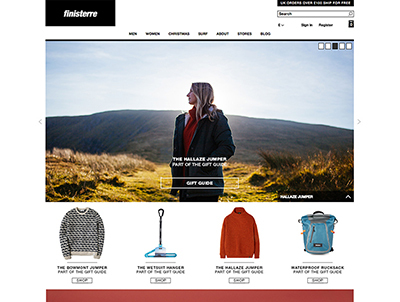 Their software is built from the ground up for ecommerce with real-time visualisations and unique visitor segments. We have a project lifecycle that applies to everything we do. We stick to Agile software development to get results that our clients love. We like to understand our client's customers early on. Once we understand our target audience, we can scope the project. Getting off to the right start is imperative. Our team will then get under way designing and building to the highest quality; constantly iterating and reviewing. We love our clients to be involved in every stage. We help our clients to put in a long-term plan for their ecommerce store. Supporting them after the initial launch means that we can enjoy being a part of the growth and success.